Join us at one of our exciting fundraising events and show your support for our mission! Bring the whole family to SASF for Peeps & Paws! 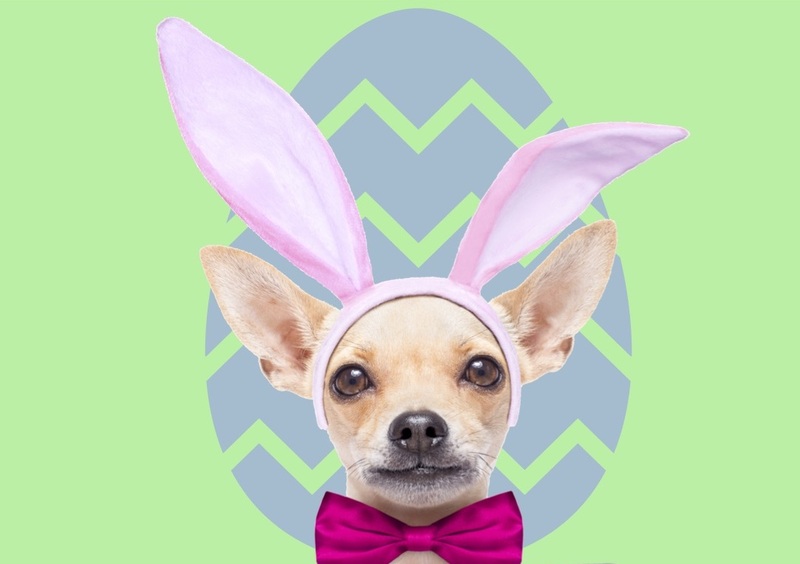 Easter egg hunts for children and dogs, Easter themed family and pet photos, pet Easter baskets, bake sale, raffle baskets, and more! $10 entry donation helps us continue to the work we do. Stop by J. Crew on Friday, April 26th and shop to support SASF shelter pets! We’ll be at the Tanger Outlets, Riverhead location with one of our adoptable dogs. J. 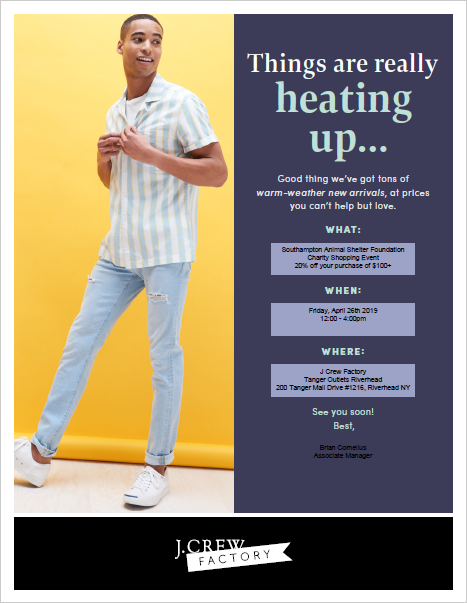 Crew will be offering discounts to shoppers and also donating a portion of the proceeds to SASF! 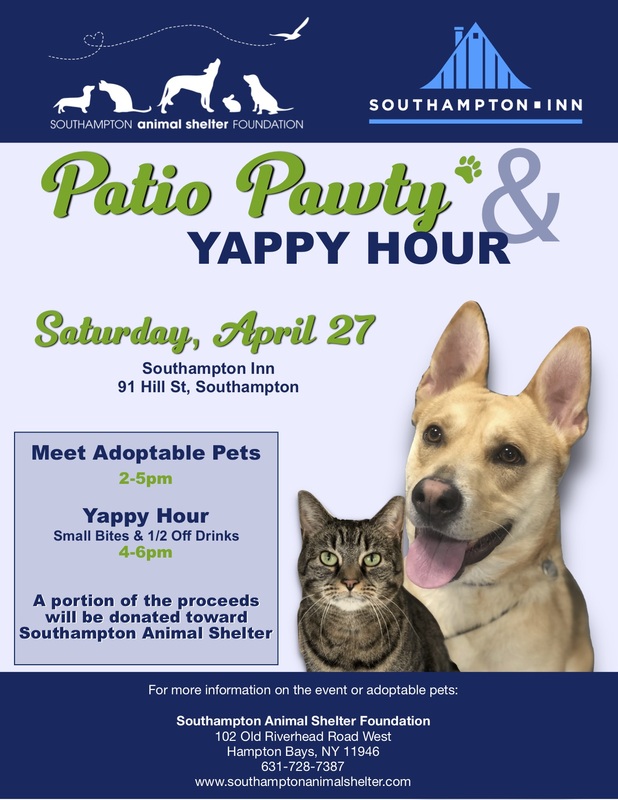 Join SASF at the Southampton Inn for a Patio Pawty & Yappy Hour! Meet adoptable pets from 2-5pm and enjoy 1/2 Off Drinks from 4-6pm. 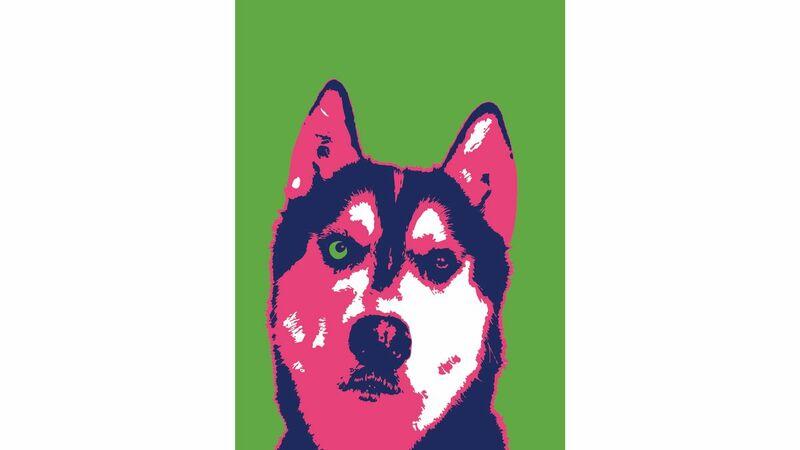 A portion of the proceeds will be donated to our shelter to help us provide top notch care for our shelter pets! SAVE THE DATE! Our 3rd Annual Paws in the Park will be on Saturday, May 18th, 2019. Mark your calendar and tell your friends! Paws in the Park is a family-friendly event to celebrate the dogs in our lives. Join us for a hike with (or without) your canine companion to support shelter pets! We will have a DJ and local vendors, as well! 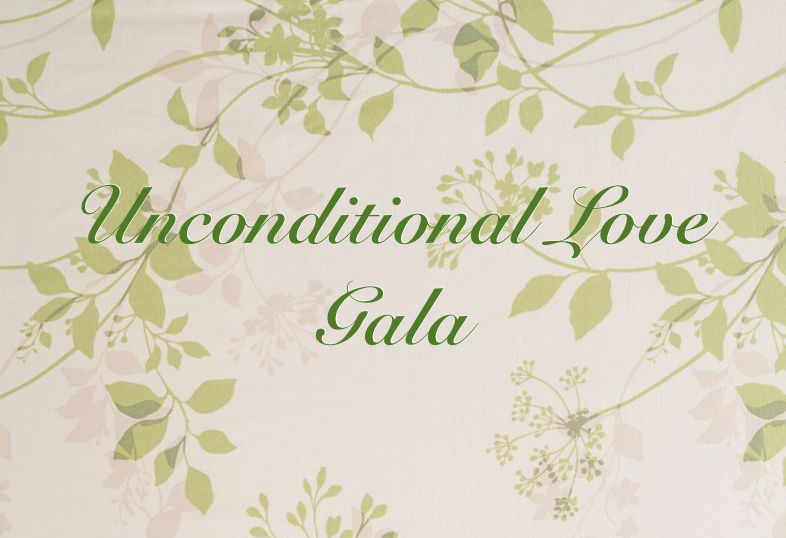 Join us for a night of cocktails, dinner, and dancing to support Southampton Animal Shelter Foundation at our 10th Annual Unconditional Love Gala. SAVE THE DATE! 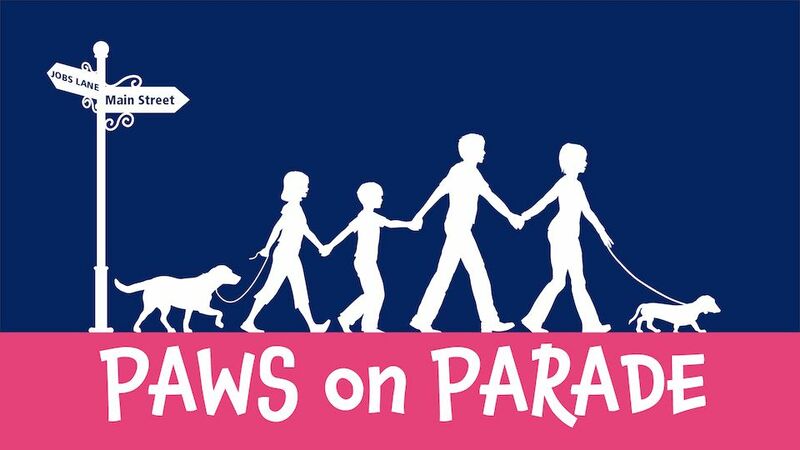 Our third annual Paws on Parade event will be held on Saturday, October 5th! We will be partnering with the Southampton History Museum for a day of family fun and a walk to the ocean!